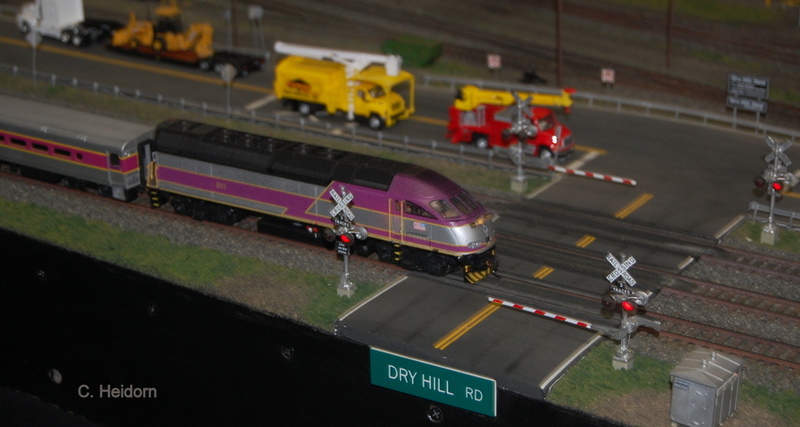 MBTA P-42 #011 hurries past "Dry Hill Rd." grade on the Dry Hill Rail Road layout last weekend. Photographed by Chuck Heidorn, January 27, 2018. Added to the photo archive by Chuck Heidorn, January 29, 2018.